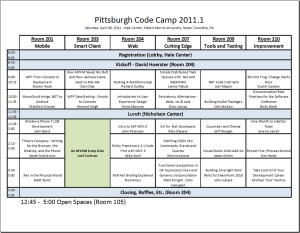 Last Saturday, I got the news that I’ll be speaking at the Pittsburgh Code Camp at Robert Morris University in Pittsburgh, PA. Being from the area, it is kind of exciting to have the first place that I get to present be my hometown. My talk is called “Git for .Net Developers” and my preparation is already well underway. I’m really excited about sharing this topic with others. At first, I was a little nervous about filling up the entire hour and fifteen minutes, but now I’m wondering if I’ll need to cut some things :). I plan on running through this about a million times before April 30, so I’m sure I’ll figure it out! I’d really like to get into presenting to the community in a big way, so I’m definitely excited for both this opportunity and for the opportunity to get feedback so that I can be the best speaker that I can be. 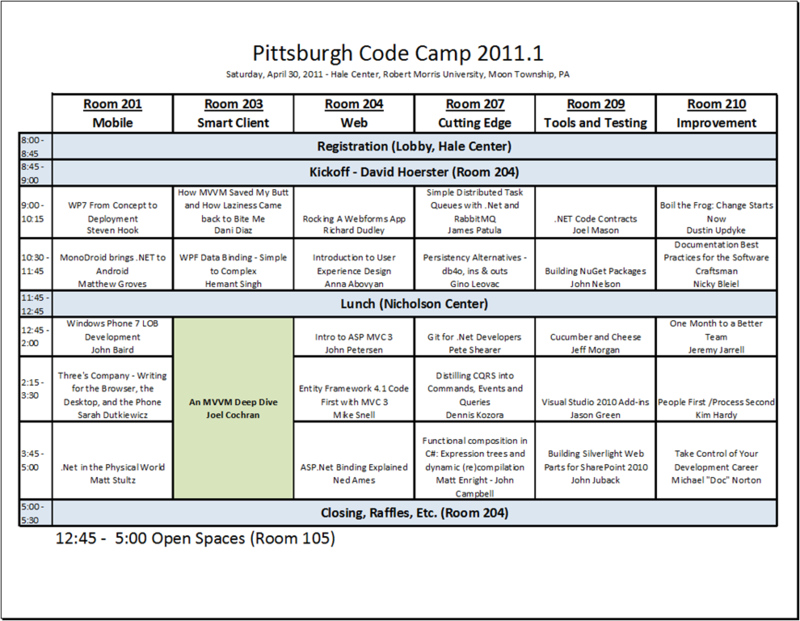 If you are anywhere near Pittsburgh and are free on Saturday, April 30th, you should definitely come out to the Code Camp. Use this link and sign up. It is free, but they want your registration so that they are sure to have enough space and enough lunch! I hope to see you there. Definitely. Are you planning on going to the speakers dinner on Friday night?